Paid time off policies (PTO), managing absenteeism, and administering summer holidays like July 4th are always common issues for employers during the summer months. 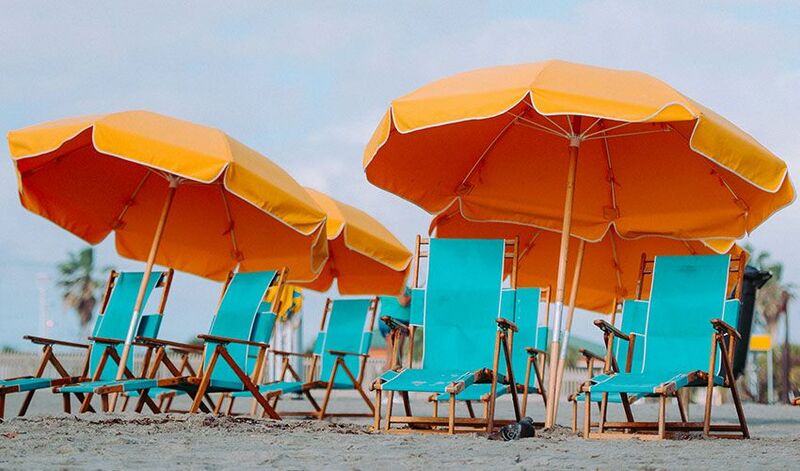 Here are 12 answers to common questions about PTO and summer holidays to help your organization navigate these challenges and create a competitive PTO plan. 1. Are employers required to provide paid federal holidays or PTO? No employer is required to pay for time off on holidays, but there are many holidays that employers choose to observe and pay employees. Similarly, there is no requirement that employers must provide PTO, but it's generally an HR essential to attract and retain good employees. 2. What is the average number of paid holidays provided? The average number of paid holidays offered by employers is 9-10. Usually organizations provide at least 5 paid holidays, however we've seen organizations provide as many as 15. Additionally, nearly 40% of employers offer at least one floating holiday each year, according to our most recent Paid Holiday Survey. 3. Should we credit paid holidays that occur over a vacation? Generally-speaking, yes. It's a good practice to credit PTO if a paid holiday occurs over a vacation. For example, if employees take July 2nd through July 6th off work and July 4th is a paid holiday observed by your organization, this day would be credited back to the employee's vacation or PTO bank. 4. How should we handle employees who take off unscheduled days before or after holidays? A main way that employers deal with this problem is to state in their attendance or paid time off policy that patterned absences such as before or after holidays or weekends are considered unexcused absences and may be subject to discipline. Employers can also require time off to be approved. The best way to prevent this from happening is to cover it in your policy and enforce it consistently. 5. What are some reasons for considering PTO plans versus vacation and sick time? PTO plans lump all time off into one bucket, versus separate buckets of time off for different types of leave like vacation, sick leave, and personal time (and typically excluding holidays, bereavement leave, jury duty, etc.). PTO plans allow employees to use days off for any reason and as a result tend to make the administrative process of managing and tracking time off easier. The focus of PTO is not on managing the reasons for the absence, but rather giving employees the freedom to use their time as they see fit. More employers are moving to PTO plans for these reasons. 6. How many PTO days do organizations typically give? The standard across most benefits surveys is providing 10 vacation days after at least 1 year of service, 15 vacation days after 5 years of service, 18 vacation days after 10 years of service, and 20 vacation days after 15 years of service. Maximum amounts of vacation days are typically between 20-25 days, but vary greatly by employer. If sick and personal days are also included (such as in PTO plans) the number of days provided typically increases by 3-5 days at each interval. Vacation or PTO time is generally based on anniversary hire date or calendar year. 7. Should we consider unlimited vacation time? Unlimited vacation time is becoming more popular, particularly among progressive employers and for salaried/exempt employees. There are many perks of unlimited vacation time if your culture is conducive to it. Not only does it eliminate the need to track time off and administer cumbersome details, but it gives employees more freedom to take personal time off and is an attractive benefit. On the flip side, unlimited vacation time typically is difficult to administer with hourly workers and doesn't work effectively if your organization does not have the right employees on deck to responsibly handle this freedom or a culture that values results over hours worked. It also can make it difficult to monitor the reasons for employees' absences which can trigger your responsibilities under certain laws like ADA and FMLA. 8. How much time-off should new-hires receive? New-hires typically receive between 5-10 days of vacation. In some companies, particularly those administering PTO plans which include sick and personal days, 10-15 days is more common. Allowing accrual and use of PTO to begin within the first 30 days of employment for new-hires versus after the traditional 90 day period is becoming a more common trend among employers. 9. What should we consider when developing a PTO donation program? determine who is eligible to receive PTO donations - define specific circumstances, length of time expected to be absent, etc. 10. How many PTO carry-over days should we allow? The majority of employers have a use-it or lose-it policy where unused time off is forfeited at the end the end of the year, but many allow carry-over of unused time for future use. While allowing modest carry-over of vacation time from year to year is somewhat common, allowing too much accrued leave could potentially be a financial burden if it compounds over several years and you must pay out this leave when the employee terminates employment with the organization. It also may result in an extended leave because time is combined from one year to the next. As a result, if carry-over days are allowed, it may be worthwhile to specify if days must be taken by a certain date, how many days can be carried over from year to year, and a maximum allowable time off period (i.e. 2 weeks). 11. Should employees be able to cash out their unused time? Sometimes employers allow employees to "cash in" their accrued vacation hours at their full value or at a lesser cash value (such as 50% or 70%, if allowed according to state law). There are, however, extra payouts associated with this option and employers must determine if the payment will be calculated based on the employee's current base pay and/or base pay after pay enhancement, etc. This option is by no means common, but is a nice perk to offer employees as part of your PTO plan. 12. Do we need to pay out vacation time upon termination? Finally, employers often inquire about if they need to pay out vacation time after an employee has been terminated. Accrued vacation or paid time off is normally paid to employees who leave the company voluntarily or involuntarily. Termination payments, however, are governed by state law. Here is Ohio's stance on payout of paid time off upon termination.